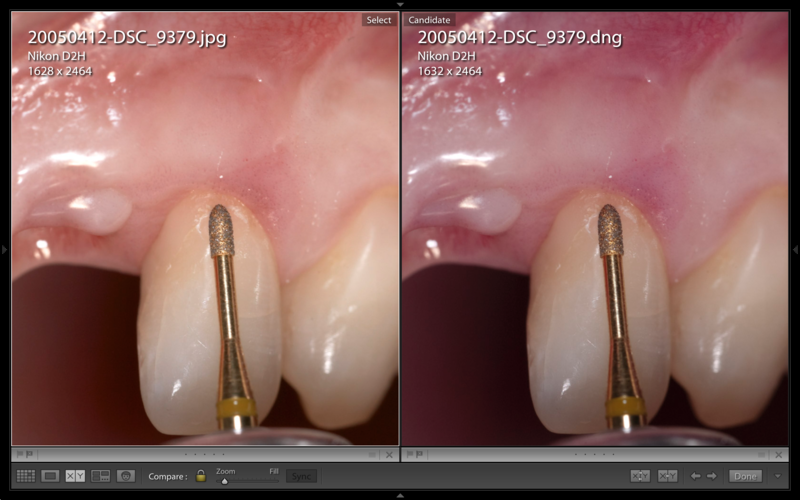 Why RAW file is better for dental photography? A serious photographer should always shoot in RAW files. I have nothing against jpg files. Honestly, I love them but only as the final output file type. I will make it clear step by step. We start with definitions. 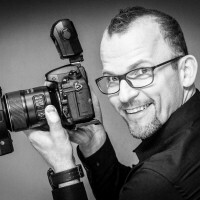 “A camera raw image file contains minimally processed data from the image sensor of either a digital camera, image scanner, or motion picture film scanner. Raw files are named so because they are not yet processed and therefore are not ready to be printed or edited with a bitmap graphics editor. Raw image files are sometimes called digital negatives, as they fulfill the same role as negatives in film photography: that is, the negative is not directly usable as an image, but has all of the information needed to create an image. 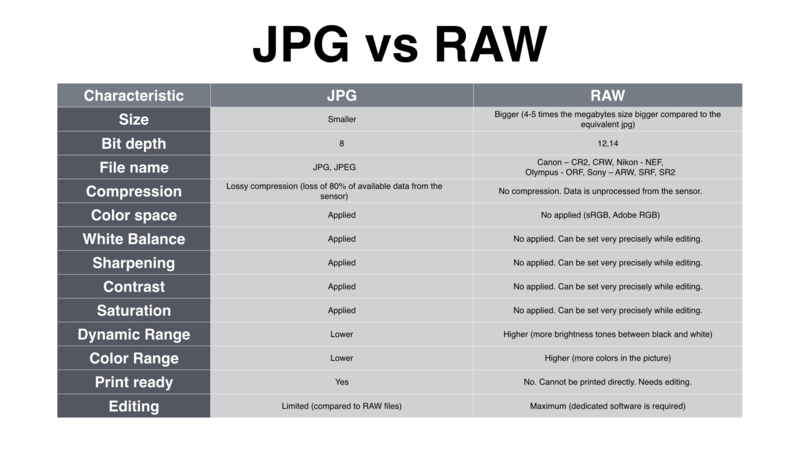 Likewise, the process of converting a raw image file into a viewable format is sometimes called developing a raw image. The definitions not always give the clear answer and explanation. But let’s take a look a little bit more in details. The highest level of quality – because in RAW format, you record all of the data from the image sensor. When you shoot in a jpg format, your camera is processing RAW files to create the final image based on the camera’s algorithm and settings. It doesn’t mean it’s always what you want to get. If you want to be in the control of this process, you should always shoot in RAW. Optimum White Balance Correction – in the RAW files you can change the White Balance of your photo precisely because your picture contains much more data. 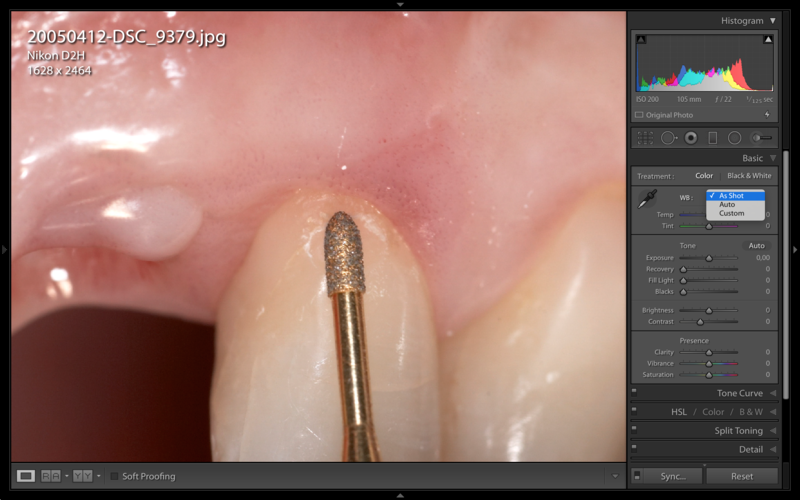 In dental photography, it’s crucial to keep the same color. You can easily select in postproduction applicable preset from the library, or you can adjust it manually in Kelvin degrees. If you shoot in JPG, the camera will apply the white balance permanently to your picture. Image above: screenshot from the Adobe Photoshop Lightroom® software showing the visual/color difference between the jpg and RAW (.dng) file after import. The jpg file has the white balance applied in the camera. Image above: jpg file has limits in the precise color corrections. In the Adobe Photoshop Lightroom® software, the White Balance develop panel is limited to the visual reference using Temperature or Tint slider. Image above: RAW file has no limits in the precise color corrections. In the Adobe Photoshop Lightroom® software, the White Balance develop panel gives you the selection of available color temperature presets or you can apply precise value in Kelvin degrees. Greater tonal range – when you shoot in RAW, your photo will contain much more information about the brightness levels. It means you can record more “shades of gray.” It is easier to understand it in numbers. When you shoot in jpg format, your photo will contain 256 levels of brightness –meaning that from black to white is only 256 steps. In RAW format you can record 4.096 or 16.384 levels of brightness. The levels of brightness depending on the bit depth. 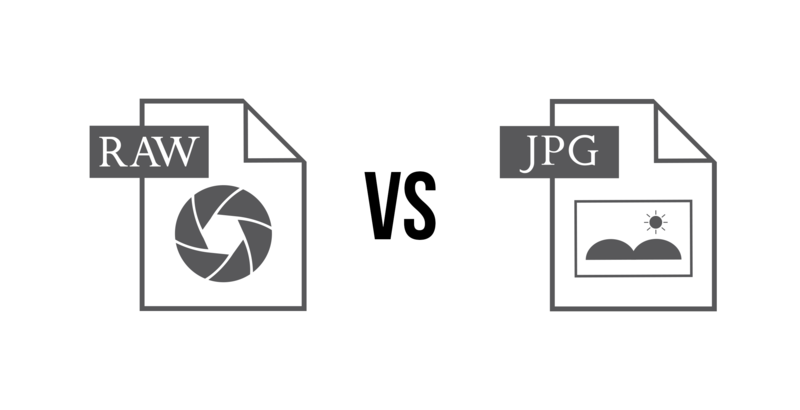 In jpg, you shoot the 8bit image. The Raw format you can shoot in 12 or 14bit. 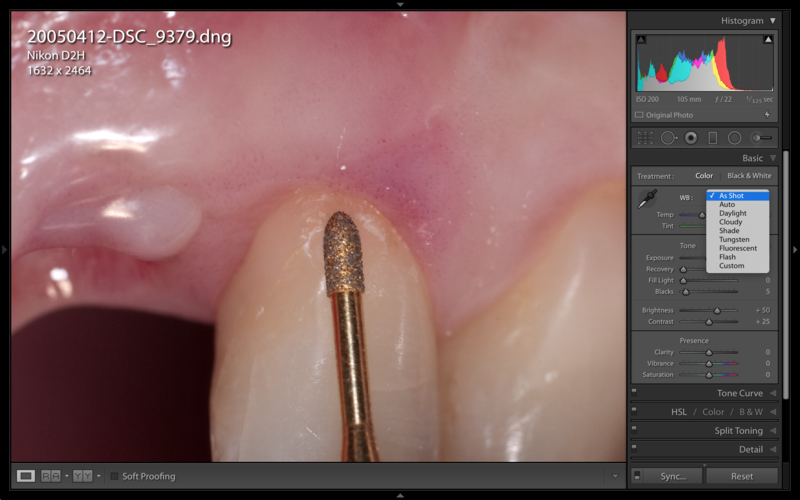 In dental photography the higher the levels of brightness and bit you have the less “banding” and “posterization” will occur in the photo especially with the red channel. Easy exposure correction – in the RAW files, thanks to the greater tonal range you have more detailed information. So it’s easier to recover more blown highlights and also black and shadows. Some of the new DSLR cameras allow you taking photos in two formats simultaneously. My recommendation is to select this option, even if you don’t know why yet. Every single photo will be saved in jpg and also RAW format. It will take more space on your memory card and your final destination, but it shouldn’t be a problem with correct digital workflow. 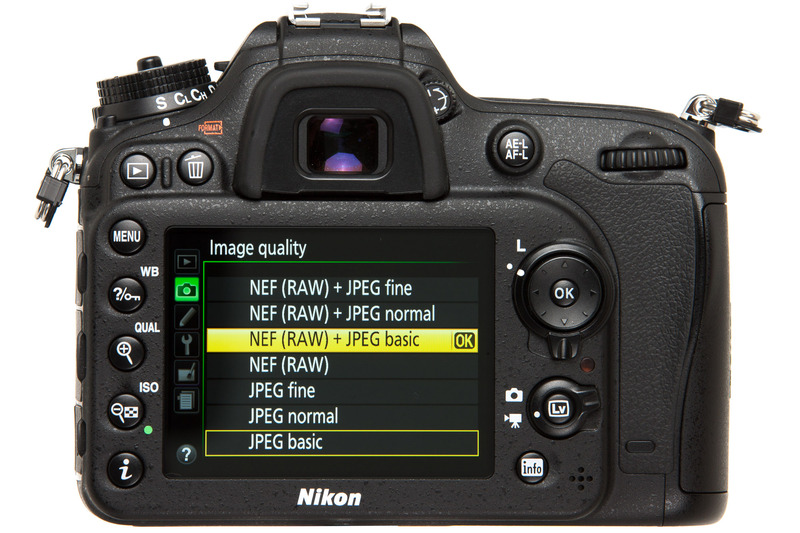 Image above: Nikon D7100 Image Quality sub-menu allows to choose multiple options. Select RAW + jpg option to open your full potential.